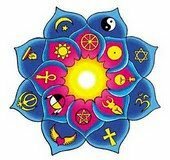 Welcome to the Headquarters of the RHIMES* lineage of interspirituality. The RHIMES lineage is a family of spiritual communities including The Ecumenical Franciscans of the Renewal, an interspiritual Franciscan community of men and women for all walks of life and spiritual perspective living in the world; Compassionate Heart Community, local communities teaching meditation and devotional interspiritual worship and classes; and our affiliated seminary, The Anglican Divinity School or ADS. If you are interested in exploring the possibility of affiliating with a RHIMES Community or starting one of your own – of if you are interested in ordination as an interspiritual teacher or minister, contact us at ChristEnlight@gmail.com! This entry was posted in christ enlight, Welcome and tagged ads, anglican divinity school, christ enlight, compassionate heart, ecumenical franciscans of the renewal, efr. Bookmark the permalink.